Entries are now open for the 2013 British Journalism Awards. 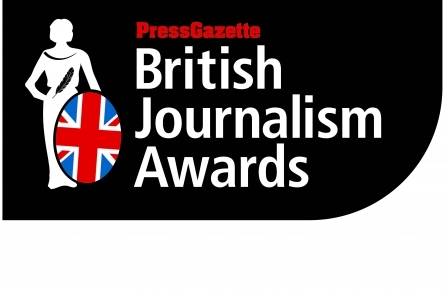 Launched by Press Gazette in 2012, this is the only major UK awards event to recognise all journalists wherever they work and which is focused on journalism that is both interesting to the public and in the public interest. This year there are three new awards: campaign of the year, foreign affairs journalist of the year and the Marie Colvin Award. 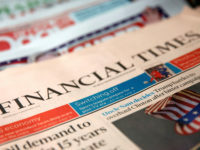 This final prize is a new annual award dedicated to the memory of the late Sunday Times foreign correspondent for the journalist who has done the most to raise the reputation of British journalism – not just over the last year, but over the course of their career. Last year saw Sunday Times journalist David Walsh take the first journalist of the year prize in recognition of his 13-year investigation into cyclist Lance Armstrong. 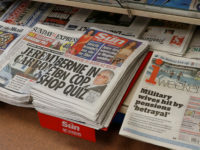 Press Gazette editor Dominic Ponsford said: "As we go into an autumn and winter which will see dozens of journalists face criminal trials it has never been more important to celebrate, recognise and promote the great positive role that journalism has. "No one who attended the first British Journalism Awards could fail to be inspired and humbled by journalism which had variously: saved lives, exposed corruption, held those in power to account and provided a voice for the weak and vulnerable. 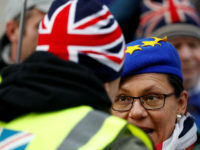 "The British Journalism Awards aims to show that the great good done by British journalists far outweighs the bad done by a few rogue operators. This event is open to all journalists and last year finalists were drawn from tabloids, 'broadsheets', broadcasting, online, regionals and magazines." Entry to the British Journalism Awards is free and all shortlisted journalists are also offered a free invite to the awards ceremony which is being held at Stationers’ Hall on Monday 2 December. This award is looking to recognise a story, or series of stories, which dug deeper to shine a light in the best tradition of British investigative journalism. The best scoop of the year. The judges will be looking for an agenda-setting exclusive story. Three photos need to be supplied which can be news or features based. For a journalist whose work has dug deeper into the world of sport to produce compelling journalism which serves the public interest. For the best business journalism in the UK. Like all the categories – this award is open to all journalists working in the UK media. This category is open to journalists working across the broad spectrum of science and technology issues: so it includes the environment, health, technology and digital communications. Entries are invited from journalists covering politics at all levels – local, regional and national. Judges will be looking for journalism which delves deeper to inform the democratic process. This award is open to any innovation which has helped promote journalism. It could be a new publication or website, a supplement, a new blog, an app or a campaign. It may even be something which is not traditionally viewed as journalism. The judges will approach this category with an open mind. The requisite will be that the innovation supports high quality journalism in some way. This is open to any journalist who has been working as a professional jourrnalist for three years or less. For the journalist who has excelled in the field of foreign news and/or features. For the most inspiring, effective and well executed editorial campaign of the year. Nominations are sought for anyone who has excelled over the last year at creating high quality journalism which is interesting to the public as well as being in the public interest. A special award dedicated the memory of the late Marie Colvin for a journalist who, more than any other, is judged to have raised the reputation of our trade. Entries should be sent via email to britishjournalismawards@pressgazette.co.uk (please note that there is a 10mb size limit on emails). Examples of work must be provided either as PDFs or as weblinks for work which needs to be viewed online. Photojournalists please submit up to three photographs as jpegs. In the case of broadcast work entrants must provide a link to a website where it can be viewed or send FOUR COPIES of the relevant clips via post on CD, DVD or memory stick format to British Journalism Awards, Press Gazette, John Carpenter House, John Carpenter Street, London EC4Y 0AN. The judges will be looking for journalism which is compelling, revelatory and which makes a difference. Work should have have been first published or broadcast between 31 August, 2012, and 1 September 2013. THE CLOSING DATE FOR ENTRIES TO THE 2013 BRITISH JOURNALISM AWARDS IS: 9am, 14 October 2013.